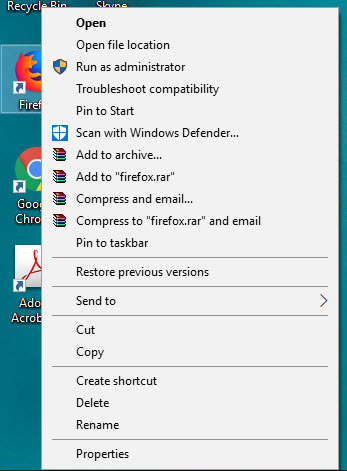 One of the inefficient tasks that most of the computer users’ face on a daily basis is the opening or re-opening specific software repeatedly throughout the day by searching the icon and then clicking it. The best and fastest way to cater this problem is by utilizing the keyboard shortcuts. 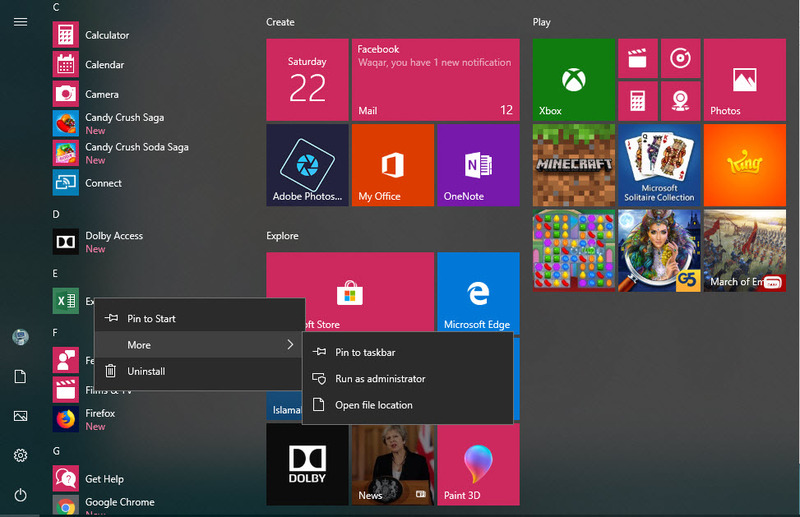 Below are few options to create custom keyboard shortcuts in Windows 10. If you have pinned any application on your taskbar, you might get surprised that you’ve already set up hotkeys for all of those applications. To do that you have to hold down the Windows key on your keyboard and the number that corresponds to the position of that particular application on your taskbar. In the picture if you press “Windows + 1.” you will open Internet Explorer, If you press “Windows Key + 2,” you open Windows File Explorer, and “Windows Key + 3” would open the Store application. 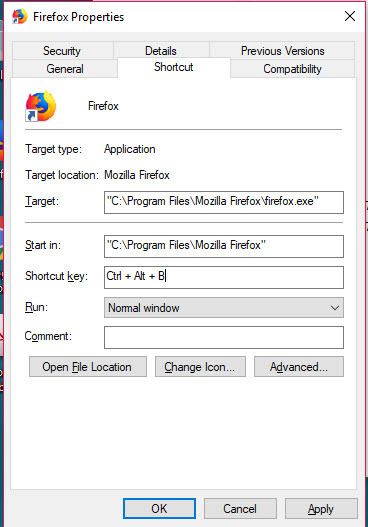 The application for which you want to create a custom shortcut is on your desktop you can right-click on the icon of that program you want to make a shortcut for and click Properties. Click on the “Shortcut” tab from the window that open. In tab of Shortcut, you will find the option of “Shortcut Key”. Enter a combination of the keys in the field to create a shortcut for you. Click Apply and OK when done. 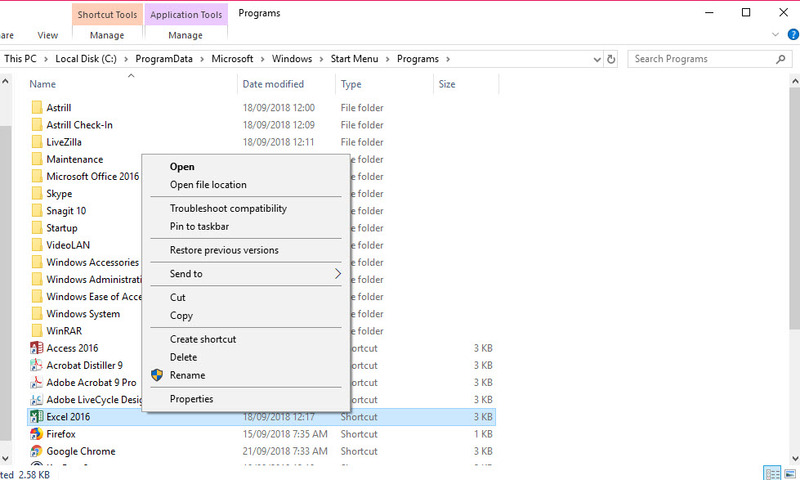 If you want to create a keyboard shortcut for an application that is not on your desktop, you can create the shortcut directly from the Start Menu as well. 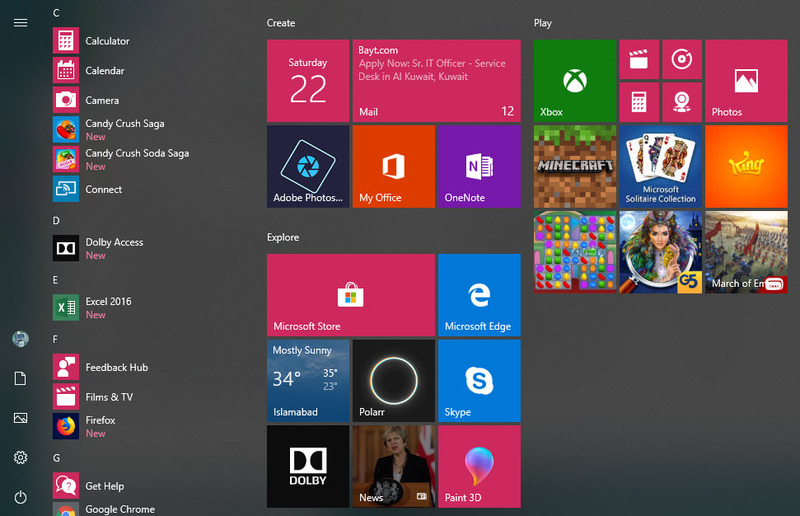 Open the Start Menu and Navigate to the icon of the app for which you want to create a shortcut. If the app is not pinned, you can find it in “All apps” by scrolling through the alphabetical list. 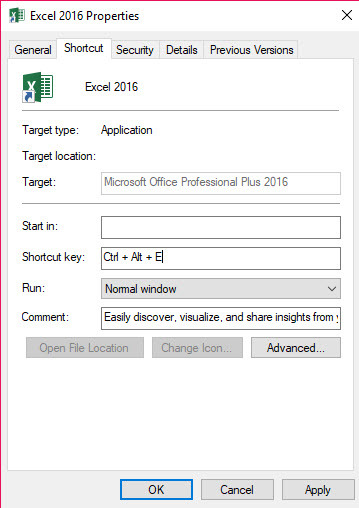 Right click on the icon of the program and select the option of Open file location, a new window will open with the shortcut icon. 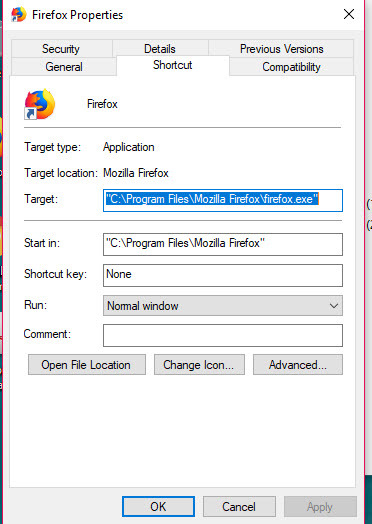 Right click on the shortcut icon of the program and select Properties. Open the tab of Shortcut and you will find the option of “Shortcut Key”. Enter the combination of keys in the field to create a shortcut.